Members representing different areas of interest within the society have prepared scientific programs and symposia involving many areas including the following: Interdisciplinary care; Cerebrospastic disorders including TBI, Spinal Injury, Sports medicine, Neuromuscular Disorders, Amputations, Lower Extremity Problems of the Diabetic Patient, Care Post Tumor Surgery, Prosthetics, Orthotics, Robotics, and innovative scientific and Engineering Developments in Rehabilitation. 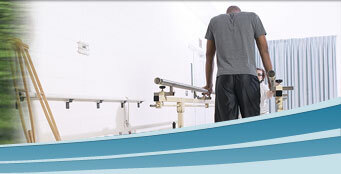 Regular membership is open to any member of AAOS demonstrating an interest in Orthopaedic rehabilitation. Other types of membership are available to trainees (residents and fellows), international orthopedics, other physicians, and allied health professionals working in the field. We invite you, as a person interested in the field, to apply for membership.